If you’re looking for an easy Christmas gift idea for a neighbor, teacher, or friend—look no further! We’ve come up with a few crafty ways to make some quick and easy gifts for the Christmas holiday using your ribbon stash! 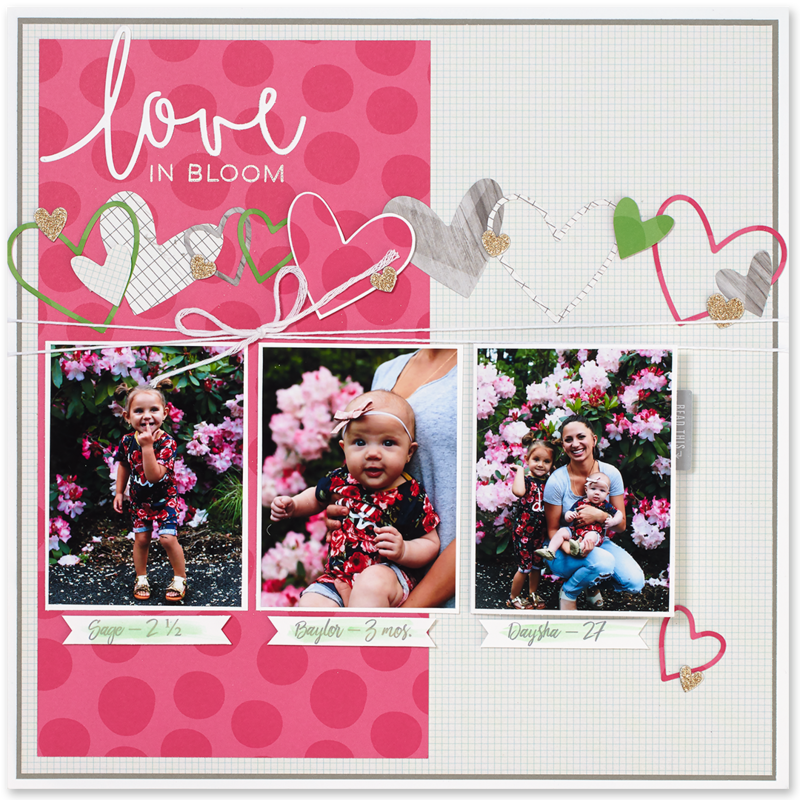 A lot of us tend to think of ribbon in two ways, the lone strips on a card or scrapbook page and sometimes the additional bow. Today we want to show you just how much more fun there is to be had with these embellishing trims! First up is a ribbon tree! This little tree was made using a 9″ foam cone decorated by 3″ ribbon strips that were folded into a loop and attached with pushpins. The star topper is simply one of our gold glitter stickers from the Silver & Gold Complements attached to a toothpick with a glue dot! And, don’t miss those gold glitter gems circling the very top layer of ribbon. This project comes together rather quickly, is easy to make, and all of your friends will want one! Don’t be fooled by the size of this tree: it will require a lot of ribbon—approximately six spools of it. If you like the look but don’t want to use that much ribbon, talk to your Consultant for an alternate option where you use paper instead! Now, if you have a larger stash of ribbon, consider a ribbon wreath! This wreath is an easy assembly as well; all you have to do is tie 5″ pieces of ribbon onto a 12″ wire wreath frame. Once all of our ribbon was tied on, we added a few silver glitter snowflakes made from our Cricut® Flower Market Collection and created a banner for the center (also with our Cricut® Flower Market Collection). Don’t have the time or the ribbon to make these first two projects? Try the following ornaments out! Crafters of all ages will enjoy making this little guy. Made up of ribbon scraps, this ornament comes together as quickly as you can tie the ribbons to a small twig (or cinnamon stick)! Once all of your ribbons are tied on, trim the edges to create the triangle shape, attach some string at the top and embellish with a sticker. That’s it! This last one is a slightly more sophisticated ornament, but still quite easy to assemble, making it a beautiful gift idea. Simply pick up a few small embroidery hoops at your local craft store (we used a 3″ and 4″) and add some weaved satin ribbons. Trim off any excess, embellish with Complements if you’d like, and hang with another piece of ribbon or twine. As you’re thinking of gifts for your neighbors, teachers, and friends this holiday, consider making them one or more of these simple crafty ribbon projects. And it just so happens that all of our fundamental ribbon packs, which we used in all of the artwork in this post, are on sale this month at 30% off! Make sure to take advantage of this offer while it lasts! Just like the name implies, these Complements perfectly complement the other products in a given color palette—which makes creating cohesive artwork a breeze! Well, with our latest idea book, we’ve come out with four more themed Complements packs for these color palettes. They include stickers, die-cuts with foil, and all sorts of other cute accents, all of which match the color palette. 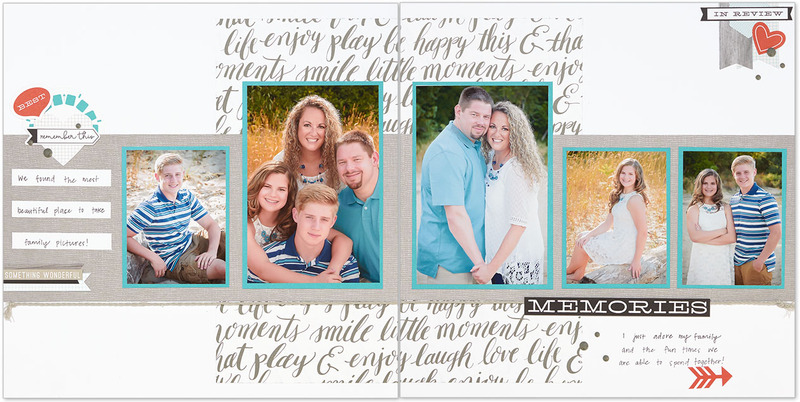 See how you can combine these new Complements with their coordinating patterned papers below! You’ve seen how the Complements and papers work in a given color palette, but if you’re adventurous, take it to the next level! Add stamping by using ink colors that coordinate with the palette, and then add even more by using cardstock or ribbons from that palette as well! 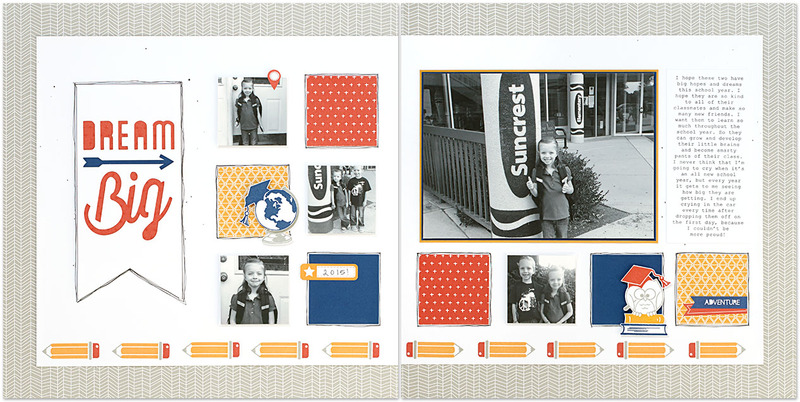 Check out the “Fundamentals” section of your Annual Inspirations idea book for more inspiration. We’ve got a very special treat lined up for you today to help introduce our brand new Fundamentals papers. We asked Executive Director Karen Pedersen to create some artwork that shows the results you can get from combining our Whimsy, Adventure, Enchantment, and Basics Fundamentals. Isn’t this artwork incredible? Thank you so much, Karen, for letting us share this with our readers! We’re incredibly grateful to have you as part of our Close To My Heart family. 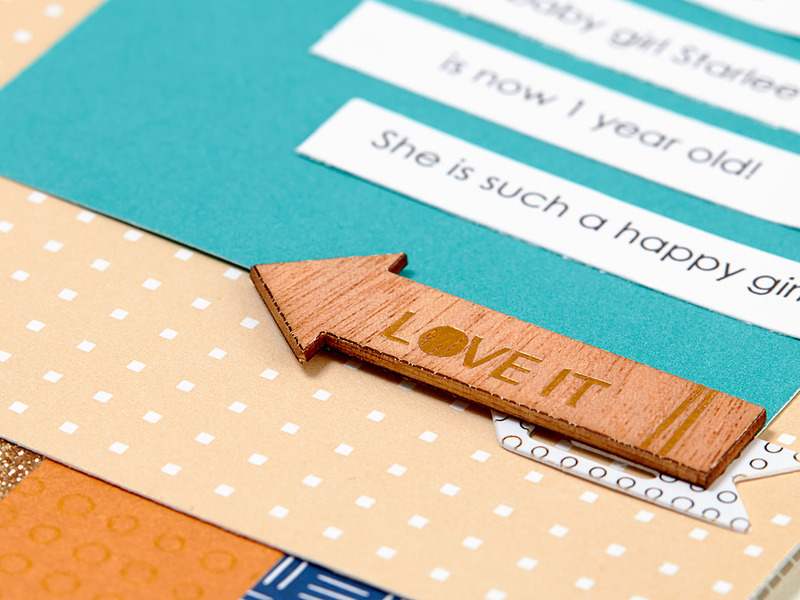 We know you’ll love mixing and matching these brand new paper collections. With a wide range of patterns and colors, you’ll have all the tools you need to tell every story. 3 Reasons Why You Should Become a Consultant Right Now! Being a Close To My Heart Independent Consultant has a lot of perks: You get to make money doing what you love, plan your work schedule however you’d like, meet women with similar interests, and save big on products with your Consultant discount, just to name a few. But during the month of July, there are three MORE reasons to become a Consultant: Adventure, Whimsy, and Enchantment! What are we talking about? Our brand new Fundamentals paper collections, which feature 24 double-sided sheets of beautiful patterned paper. 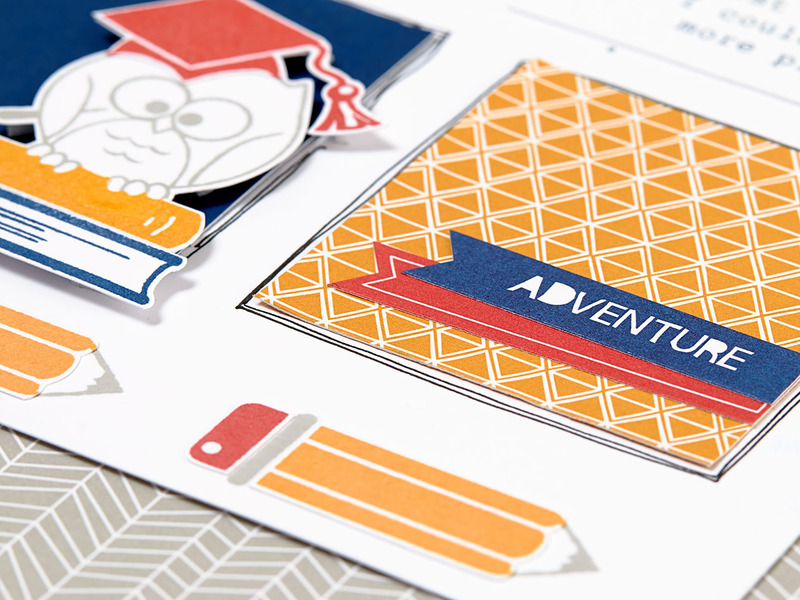 And we’ve also created Complements (stickers and die-cuts) that coordinate with each Fundamentals collection that have three themes—everyday moments, baby, and school. If you join as a Consultant in July, not only will you get to preview these products before everyone else (they’re not available to the public until August 1! ), and not only will you get to order them before anyone else, but you will get one paper collection and its coordinating Complements for FREE! You can choose any of these three collections you want! Did we mention that it only costs $75 USD to join, and you get $50 in Select Product Credit, which means you basically join for $25? Yeah, it’s a great deal and super low risk! 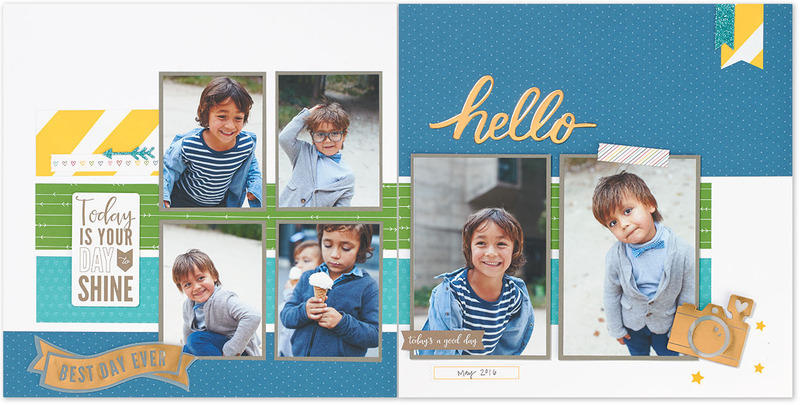 Because seeing is sometimes believing, we want to give you an exclusive look at the beautiful layouts you can create with these new Fundamentals collections and their coordinating Complements. Ready to be amazed? First up is our Adventure Fundamentals and Good Life Complements. 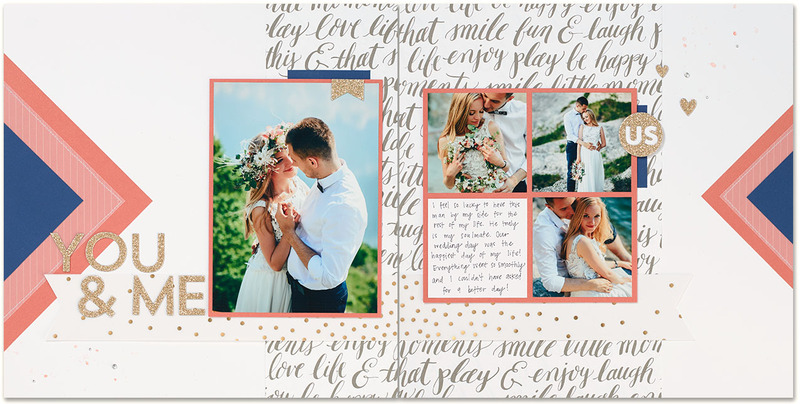 There’s no stamping on this layout—all the embellishments you see—including those flashy gold die-cuts—come with the Good Life Complements, which are designed for everyday scrapbooking. 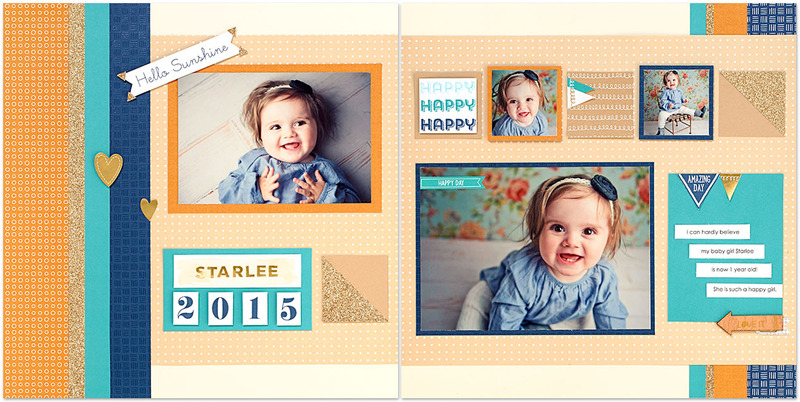 Here are our Whimsy Fundamentals and the Baby Girl Complements. If you choose to go with the Whimsy papers, you could also choose Baby Boy Complements instead, which feature silver foil instead of gold. And don’t worry, the papers can just as easily be used to create a layout featuring pale blues and greens instead of pinks! Last up is our Enchantment Fundamentals and School 7–12 Complements. And no surprise here, you can also choose the School K–6 Complements if you want those instead. Either way, you’re sure to have the supplies you need to create an A+ scrapbook. Here’s a re-cap on why now is the best time to join Close To My Heart: If you become a Consultant during the month of July, not only can you order all of these new collections and see all of our other new products before anyone else, but you’ll also get one Fundamentals paper collection and its coordinating Complements for FREE. If you’re ready to become your own boss and make crafting your living, talk to your Consultant today or visit closetomyheart.com to find one in your area. The Little Black Dress . . . For Papercrafters! Oh the little black dress—you can dress it up and you can dress it down, making it the perfect go-to outfit for any occasion. Wouldn’t it be nice if there were a little black dress in the world of papercrafting? Oh wait, there is! Our Fundamentals line! If you haven’t met our Fundamentals yet, you really should get acquainted. And we’re not just talking about pretty paper here. We’re talking the WHOLE Fundamentals line, which includes sticker packs and assortments as well! Really quick, let’s give you the 411 about this line. Our Paper Fundamentals come in four different color palettes: Whimsy, Adventure, Enchantment, and Basics. Each pack comes with 20 sheets of cardstock in 10 of our exclusive colors, and this isn’t just any ol’ cardstock! Each side has a fun design, one in white and the other in a shiny gloss. These pair wonderfully with our paper packets (because they use our exclusive colors without demanding center stage), but they also add more intrigue to your artwork because they have subtle backgrounds and textures. AND you can also do really cool resistance inking with the glossy side of the paper, as you can see in this Instagram video. Like the papers, the Fundamental sticker packs also come in the four color palettes to make color coordinating effortless. They include letters and cute designs, like hearts, arrows, and thought bubbles. Last but certainly not least, our Fundamental Assortments come in eight of our exclusive colors and include wooden badges, paper bows, plastic clips, and a sheet of glitter stickers. Yes, glitter! Just some simple layering lends some dimension to these little guys for a really fancy look. These stickers are so versatile and universal—just think how they would enhance cards, pocket scrapbooking layouts, and…well, everything! Whether you’re the mom who always has peanut butter on her shirt or the lady who can create grandiose papercrafting masterpieces at her leisure, our Fundamentals are a must-have for every crafter. Order some today by talking to your Consultant. If you don’t have one, go to our website and select “What We Do” to find one near you. 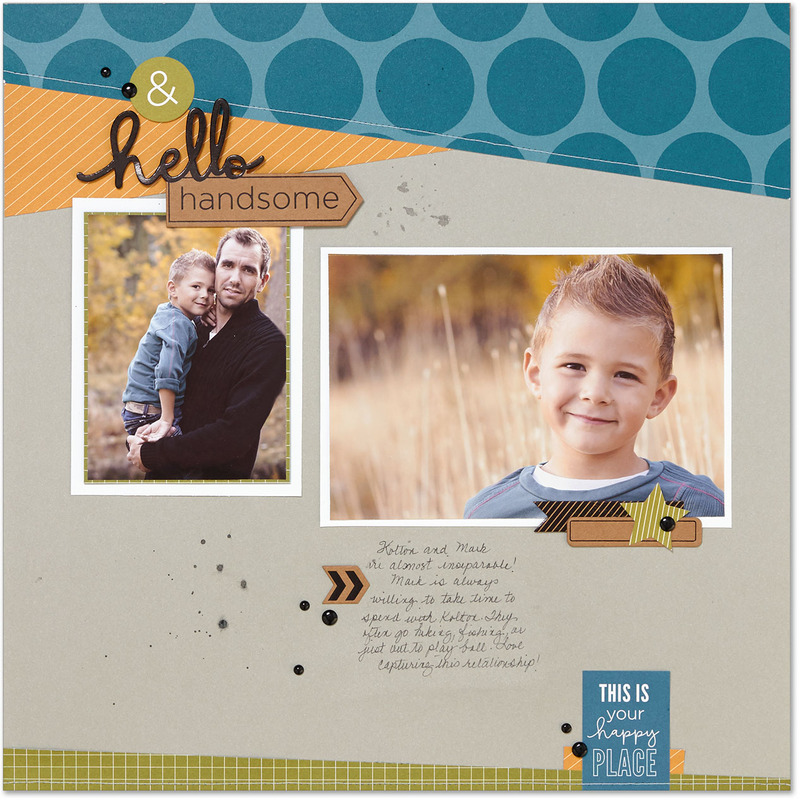 Thanks to Fundamentals, assembling a cohesive page has never been easier!